CANTON, Ohio: Dec. 31, 2009 — The Timken Company (NYSE: TKR) today announced it completed the sale of its Needle Roller Bearings business to Japan’s JTEKT Corporation. Timken received approximately $330 million, including retained receivables, from the sale. These proceeds will be used for general company purposes, while also providing additional liquidity, bolstering the company’s financial position in a year it expects to generate strong cash from operations. “The completion of this deal is a win for everyone involved,” said James W. Griffith, Timken president and chief executive officer. "The Needle Roller Bearings business' new owner is committed to the automotive industry, which provides new opportunity to customers and the talented associates who are transferring with the deal. North America: Cairo, GA; Dahlonega, GA; Sylvania, GA; Greenville, SC; Walhalla, SC; and Bedford, Quebec, Canada. Europe: Brno and Olomouc, Czech Republic; Maromme, Moult, and Vierzon, France; Kuensebeck, Germany; and Bilbao, Spain. For the first nine months of 2009, the Needle Roller Bearings business had approximately $289 million in sales and incurred a loss of about $59 million. While the divestiture will reduce Timken’s sales for the full year, the net effect on the company’s earnings is expected to be positive. Additional information about Timken, the Needle Roller Bearings business and JTEKT is available online at www.timken.com/needlebearings. A leading global manufacturer of highly engineered needle roller bearings for automotive and mobile applications, the Needle Roller Bearings business was originally formed in 1912, and acquired by Timken through its acquisition of The Torrington Company in February 2003. The business had $621 million in sales in 2008 and employs approximately 3,400 associates. 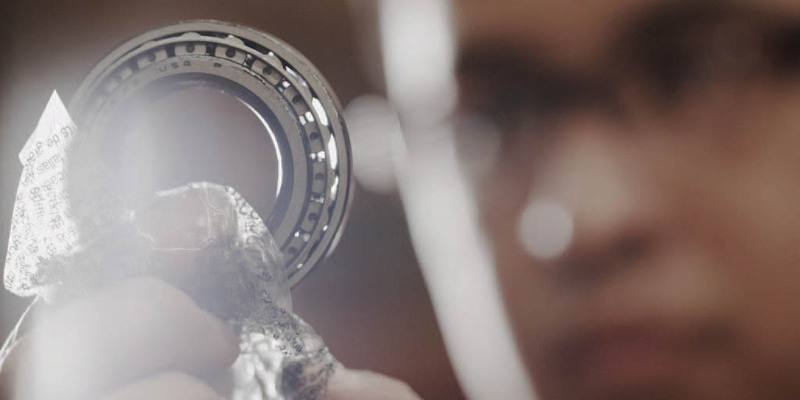 With 12 manufacturing facilities and three technology centers around the world, the Needle Roller Bearings business primarily serves original-equipment and tier-one automotive manufacturers, including customers in North America, Europe and Asia. JTEKT Corporation (“JTEKT”, www.jtekt.co.jp/e) is a leading Japanese manufacturer of steering systems, driveline components, bearings and machine tools. The company’s bearings solutions are used in a wide variety of applications, including automobiles, jet engines, windmill power generators, and shinkansen (bullet trains). JTEKT was formed in January 2006 following the merger of Toyoda Machine Works Ltd. and Koyo Seiko Co. Ltd. Koyo Seiko was founded in 1921, and Toyoda Machine Works in 1941. Headquartered in Nagoya and Osaka, JTEKT has 34,000 employees, with operations in 70 locations worldwide, encompassing Asia/Oceania, North America and Europe. JTEKT’s President is Motohiko Yokoyama, and Chairman is Kohshi Yoshida. As of March 31, 2009, JTEKT had sales of $10.9 billion (1,017 billion JPY). The Timken Company (NYSE: TKR, http://www.timken.com) keeps the world turning, with innovative friction management and power transmission products and services, enabling our customers’ machinery to perform more efficiently and reliably. With sales of $5.7 billion in 2008 and operations in 26 countries, Timken is Where You Turn™ for better performance. Certain statements in this news release (including statements regarding the company's expectations) that are not historical in nature may be "forward-looking" statements within the meaning of the Private Securities Litigation Reform Act of 1995. In particular, the statements related to the company’s financial performance in 2009 or future years and the impact of the sale are forward-looking. The company cautions that actual results may differ materially from those projected or implied in forward-looking statements due to a variety of important factors, including the company's ability to profitably redeploy the funds received from the transaction. Additional factors are described in the company's Annual Report on Form 10-K for the year ended Dec. 31, 2008, page 44 and in the company’s Quarterly Report on Form 10-Q for the quarter ended September 30, 2009. The company undertakes no obligation to update or revise any forward-looking statement.